Publish/Subscribe is a messaging pattern that aims to decouple the sending (Publisher) and receiving (Subscriber) party. A real world example could be a sport mobile app that shows you up-to-date information of a particular football game you’re interested in. In this case you are the subscriber, as you express interest in this specific game. On the other side sits the publisher, which is an online reporter that feeds a system with the actual match data. This system, which is often referred as the message broker brings the two parties together by sending the new data to all interested subscribers. The benefits can be sumarized to Loose Coupling, the decoupling of publisher and subscriber, as well as Scalability through the parallel nature of the publisher and subscriber components. A publish/subscribe messaging protocol is only as useful as its message broker implementations. A Message Queueing system receives, stores and forwards messages. Those actions tend to vary heavily from one implementation or messaging protocol to another. The core component of a queueing system is, of course, a data structure called queue. The underlying theory of a queueing system is quite complex, so let’s assume for now that a queue is some sort of a database. While most general purpose databases have powerful query capabilities such as the SQL query language, a queue in it’s most basic form only knows two operations, push and pop. The Push operation inserts a new element to the queue, the Pop operation reads the oldest element from the queue and deletes it afterwards. This is also called the FIFO model, first in first out. In certain cases the Pop operation should always read the newest element instead of the oldest. Such a datastructure is called a stack, while the model is called LIFO, last in first out. A message queueing system could implement more advanced queuing operations like message priority support or ways to automatically delete old messages. A message queue is a perfect addition to the Publish/Subscribe pattern because it backs the decoupling principle. 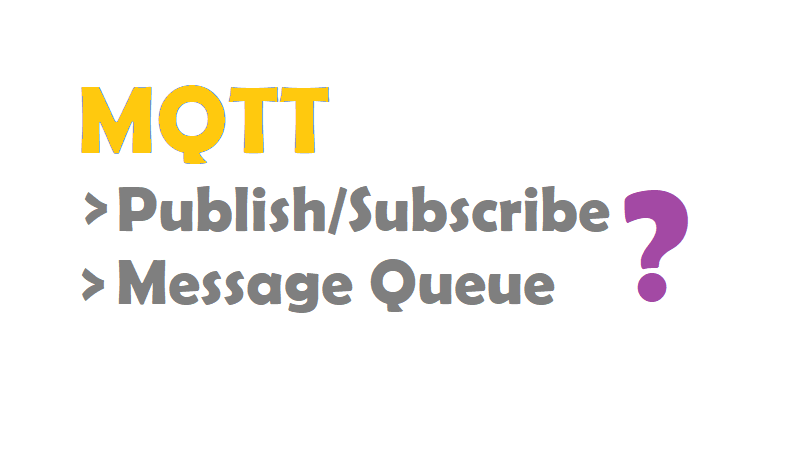 For this reason most Publish/Subscribe protocol implementations rely on a message broker that also implements a message queuing system.